All NCCI Staff members observed “Black Day” on August 10, 2016 at the NCCI Campus, Nagpur to protest about the continual negligence of the government to the cry for the rights of Dalit Christians and Muslims in the country. Mr. Pradip Bansrior, Executive Secretary- Commission on Dalits, Tribals and Adivasis, highlighted the injustice related to the issue and lamented that the Civil Writ Petition 180/2004 in the Honorable Supreme Court of India praying for the deletion of paragraph 3 of the Presidential Order 1950 has been pending in the Supreme Court of India for the past 12 years, since the Government has not yet replied to the Supreme court. 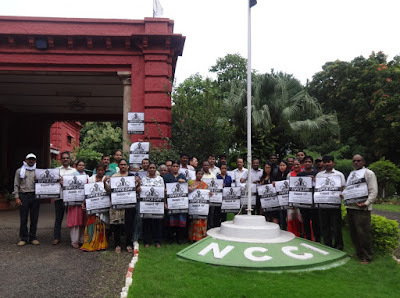 The NCCI Staff members along with the Secretaries assembled in front of the NCCI Secretariat, with black ribbons pinned on their chests/shoulders and held Black Day posters in their hands as a mark of protest. Rev. Christopher Rajkumar hoisted a Black Flag as an affirmation of solidarity with the suffering Christians and Muslims of Scheduled caste origin. The protest came to a close with the word of prayer by Rev. Caesar David. Bishop’s College, Kolkata observed “Black Day” in a unique way. This year the College decided to show a Marathi movie ‘Fandrey’ which describes the life struggles of Dalit brothers and sisters in the midst of caste based discrimination. Students wore black ribbons as a sign of protest on their shoulders for the day and offered a special prayer during their intercessory hour at 12:30pm. 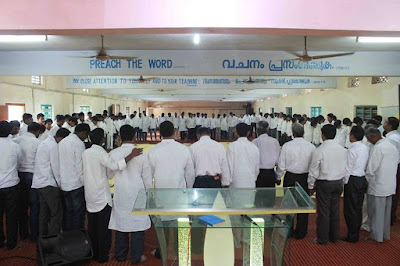 The students affirmed that as a Christian community, they will stand united to continue the demand for equal justice for Dalit Christians and Dalit Muslims. 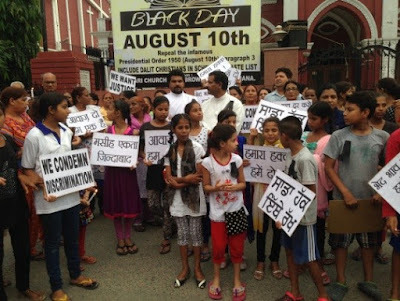 Mr. Somu Seker, Working Committee member of NCCI-Urban Rural Mission along with NCDC (National Council for Dalits Christians) and other like-minded organisations planned to observe Black Day in a more meaningful and powerful manner this year. They decided to have a poster campaign. 2000 multi colour posters in Tamil language were printed and sent out in various cities like Chennai, Madurai, Trichy, Coimbatore, Thanjavur, Viruthnagar, Rajapalayam, Ramanathapuram, Kumbakonam, Villuppuram, Karaikal, Nagapattinam, Chidambaram etc demanding that the Central Government should include Dalit Christians and Dalit Muslims in the Scheduled Caste List and should implement the recommendations of Justice Ranganath Mishra Commission. 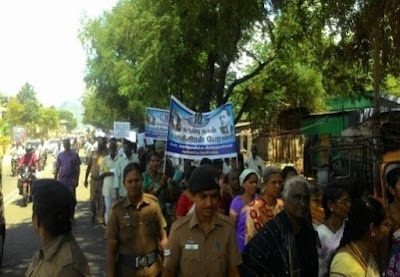 The Roman Catholic Church of Kumbakonam Diocese organized a grand four-wheeler rally and a public meeting in which more than 200 four- wheelers and 5000 people participated. The Malankara Syrian Orthodox Theological Seminary observed Black Day on 10th August and conducted a seminar on the theme: “Empowering the marginalised Communities”. They discussed the “Prevention of Atrocities (SC) Act 1989” as a special measure to give protection to Dalits from caste harassment and atrocities. However, Christian Dalits are not entitled to make use of this vital law since they are not included within its scope. Under these circumstances, they are left totally in the lurch without any effective protection whenever caste violence is committed on them. 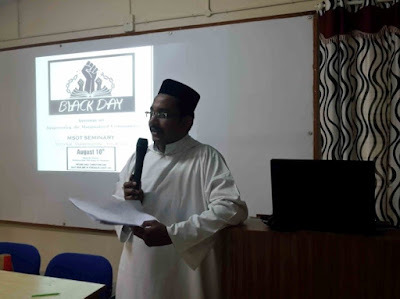 The seminar impressed upon the students the importance of observing the Black Day for demanding the inclusion of Dalit Christians and Muslims in the Scheduled Caste list. 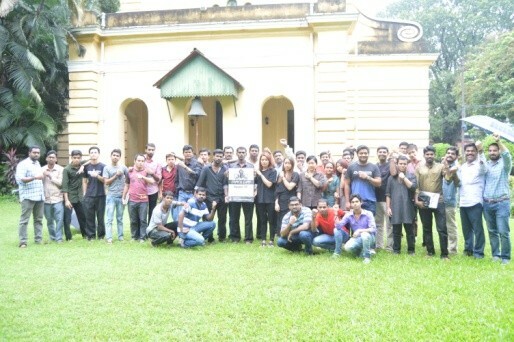 The Faith Theological Seminary, Teachers and Students gathered in the chapel on 10th August 2016 to observe Black Day. They observed both Black Day and Tribal and Adivasi 'Sunday' together. The Principal of the Seminary highlighted the issues and concerns of Dalits and Tribals. All the students and faculty members joined hands together and prayed for the liberation of Dalits and Adivasis who are most victimized in the Indian society.